Wouldn’t it be nice if everyone’s child was a great sleeper? Unfortunately, that isn’t the case. Often, parents come to me sleep deprived and frustrated because after trying everything they could think off, they’re child’s still waking up multiple times a night, and having trouble settling for naps. 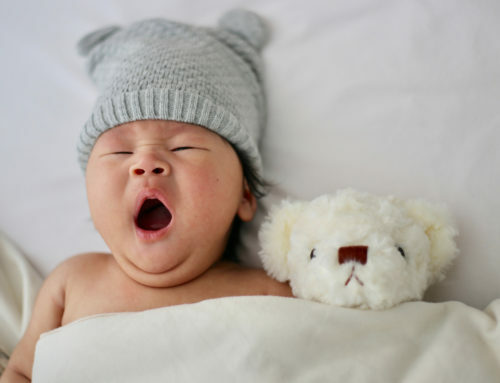 Some parents actually already know what they need to do to improve their little one’s sleep , they just need a little push in the right direction, while other parents are quite surprised when I tell them the root cause of their baby’s sleep issues. No matter the case, I often see parents making the same mistakes that are ruining their child’s sleep. 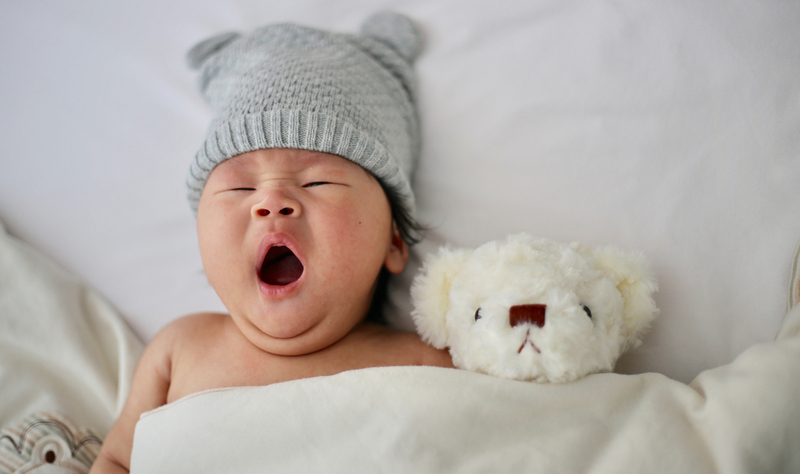 I hope that by sharing them below, I can help you avoid some of these costly mistakes, so both you and your baby can get the sleep you need. Ever tried keeping your baby up during the day so they slept better at night? Did it work? I bet it didn’t! That’s because overtiredness stimulates the production of stress hormones cortisol and adrenaline, which are also the hormones responsible for keeping us awake. Parent’s that try and keep their child awake during the day so that they would be tired enough to go to sleep in the evening, often find that the strategy backfires. Instead of feeling sleepy, their kids are wired up and overly energetic, making it difficult for them to fall asleep. On the other hand, too much sleep or a nap schedule that isn’t suited for their age can also cause your child to have trouble falling asleep in the evening, and wake up frequently throughout the night. Knowing how much sleep your child needs and optimising their day routine according to their age is crucial for sleep success! Many parents tell me that they let their child sleep in a light room so they can “get used to it” and are more flexible about where and how they nap. Unfortunately, this just goes against our biology! Melatonin, the hormone that makes us sleepy, is ONLY produced in the dark. So, no matter how long you try to “teach” your baby to sleep in a brightly lit room, it usually doesn’t work. Of course there are a few kiddos who couldn’t care less where or how they sleep, whether it’s dark or light, or whether they sleep in their bed, mom’s lap or on a bench at the airport. However, I find that this has more to do with temperament than anything else! In my experience, putting your child to sleep in a dark room encourages sleep. Also, I see that kids with a good sleep environment are actually more flexible on the go, because their bodies are in the right rhythm. Babies thrive on routine and rhythm! It gives them security and helps to regulate their circadian rhythm so that they feel sleepy at the right times. A baby with no routine is like an adult with constant jet lag. They are cranky, tired and don’t sleep well! A routine doesn’t have to be super strict, it can be more like a rhythm. So if you want to keep your days flexible, make sure you consider the age appropriate awake windows – the length of time your baby can be awake between naps or before bedtime. This is important to keep in mind so that your child isn’t over- or undertired when you put them to sleep. 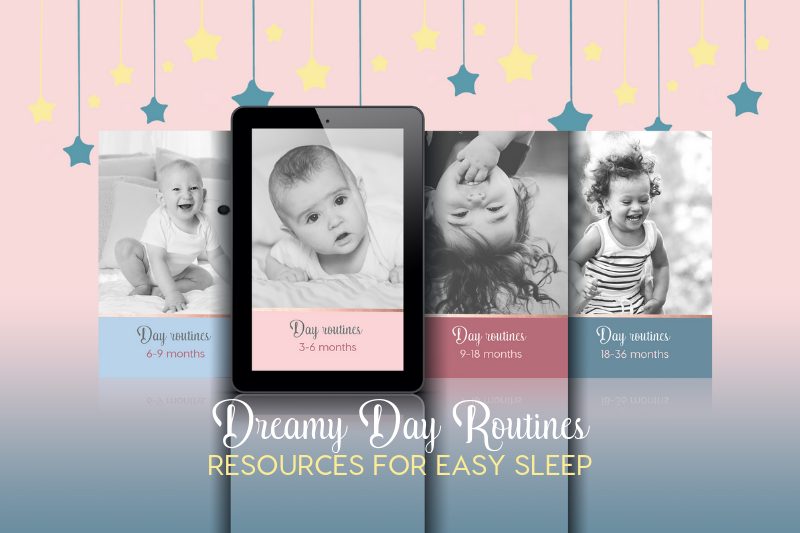 If you’d like to make sure your child’s days are set up for sleep success, check out my Dreamy Day Routine guidebooks. Inside you’ll find age-specific sample day routines that are optimised for good sleep, nutrition, and your child’s overall well-being. 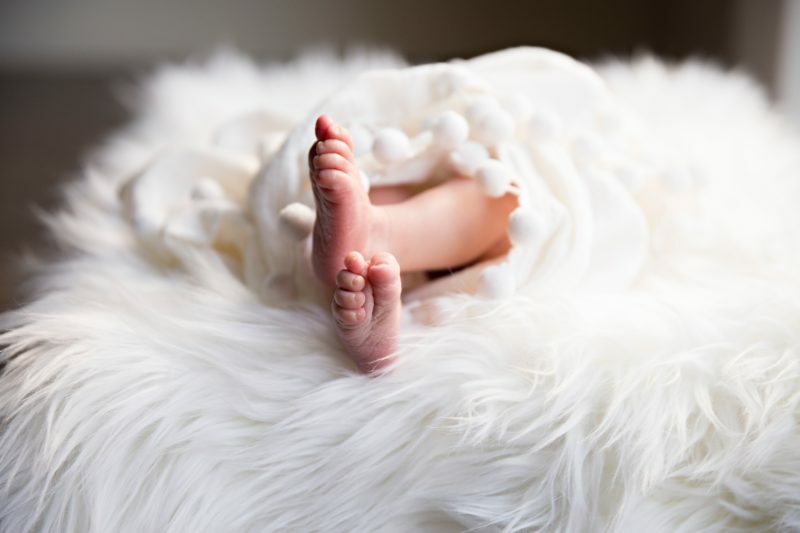 Plus, you’ll get lots of tips and trick on how to stay flexible, handle developmental changes and transition from one nap schedule to the next. 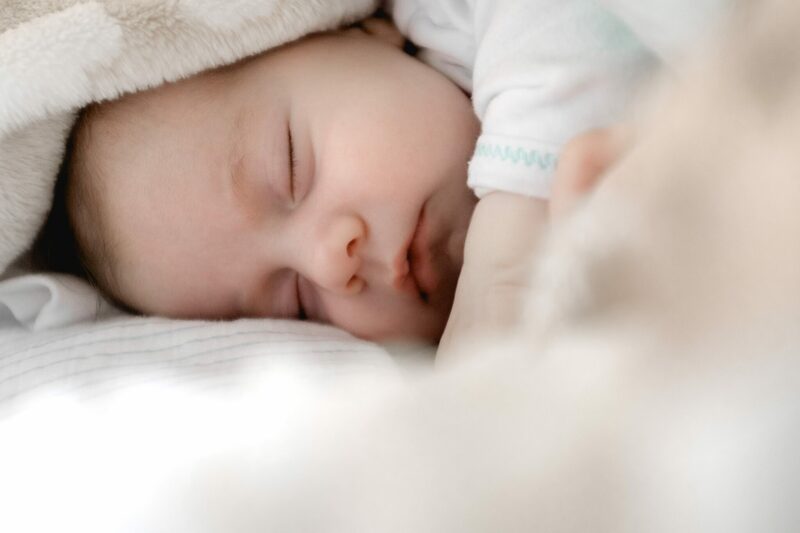 For tips on getting your newborn on a sleep schedule, check out this blog post and for more newborn sleep education, tips and tools, take a look at the Newborn Sleep Package. Obviously we’re not talking about newborns here! 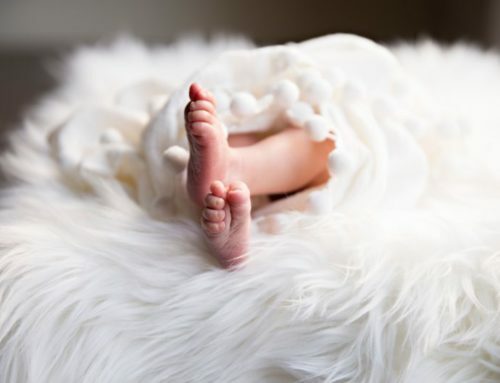 Newborns need to be snuggled and cuddled. They need your help to fall asleep because they aren’t biologically mature enough to do that on their own yet. However, as your little one gets older they can become dependent on your help for falling asleep. I often find that babies need to start having a little more independence between 4-6 months of age – this is when the 4 month sleep “regression” happens (which is actually a developmental leap). This is also the age when they become more aware of their surroundings, which is why having mom and dad in the same room while they sleep can be distracting. 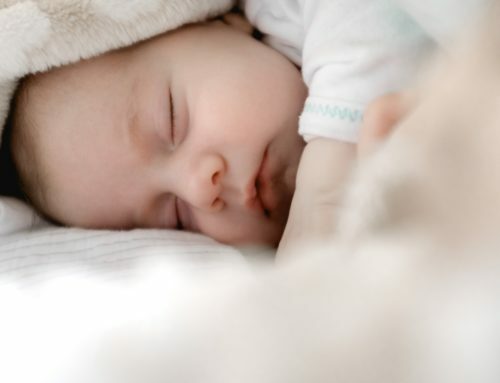 If the baby has a strong sleep association (such as being fed to sleep) and is not capable of falling asleep on his own, it can result in catnapping and frequent night waking. 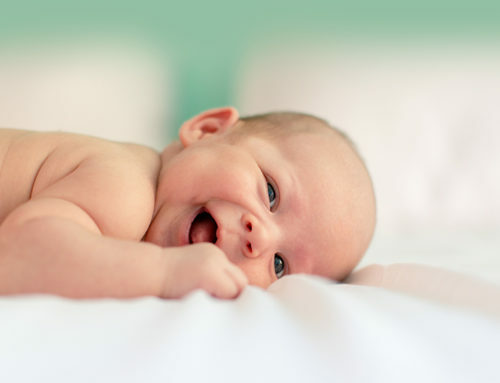 For example, if you’re nursing to sleep, chances are high that when your baby goes into the next light sleep phase after one sleep cycle (which is ~45 minutes during the day and 1-3 hours during the night) he’s going to need that same help to fall back into a deep sleep. This leads to them waking up frequently looking for your help. This isn’t healthy for the baby, and it sure isn’t helpful for mom and dad. Observe your baby carefully and try not to intervene too fast when they’re at that age where they need to become more independent. You can read more about sleep associations in this blog post. Have you ever experienced how frustratingly precise baby’s naps can be? I remember almost being able to time my little one’s naps to 45-minutes on. the. dot. Many babies struggle with catnapping. Unfortunately, sometimes we don’t realise that as parents we’re contributing to the problem – either by not putting them to bed awake so that they can fall asleep on their own, or by getting them up after only one sleep cycle. 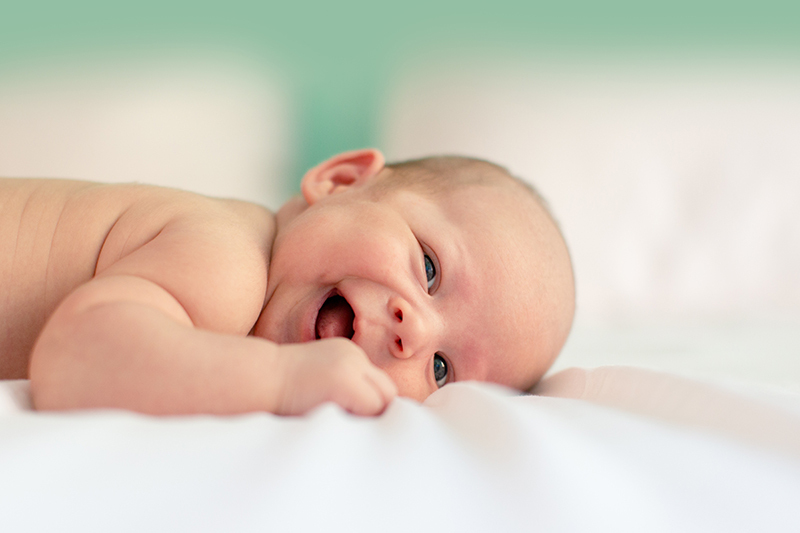 A baby’s circadian rhythm is regulated by exposure to light (among other things). If you always get baby out of bed when he wakes up after only 45 minutes and bring him into the light, it’s teaching them to continue doing short naps. That’s because exposure to light helps entrain their circadian rhythm and tells the body what to do next time. Staying in the dark room after baby wakes up from their (too short) nap and trying, even just for a few minutes, to resettle back to sleep, helps him and his body know that it’s not yet time to wake up and can encourage longer naps. Have you ever bought a pair of shoes, maybe out of peer pressure, that didn’t exactly fit properly, only to find that a few days later your feet were sore and blistered, and those shoes landed at the back of your closet, never to be worn again? I always regret those split-second decisions, wishing I had waited for the right pair of shoes, ones that fit perfectly and feel “right” for me and my style. The same goes for sleep coaching! There are so many different methods out there, and it’s important that you choose something you feel comfortable with, that fits your parenting style and your child’s personality. Research shows that sleep training methods are much more likely to be effective long-term (not to mention quicker!) if the parents can stand behind what they are doing. That’s why I don’t have a one-size-fits-all approach in my coaching, but rather always discuss with the parents to figure out the best way forward for their family. Note: If you’re struggling with the idea of sleep training overall, read about what science says about the most common myths surrounding sleep training, and learn about the 3 gentle sleep training methods my clients use successfully all the time. Please know that there’s more to sleep coaching that just “letting your child cry it out”! You may want a quick fix for your child’s sleep (who wouldn’t when they’re totally sleep deprived) but if the timing for sleep training is off, the process can become much more difficult than it needs to be. Perhaps your child is going through a developmental leap, is sick, or teething, or there are some big changes happening for your family – such as travel, you starting back to work or your child starting daycare, moving house, or the birth of a new sibling. During these times of change sleep training your child isn’t ideal, as there are already so many new things for them to get used to or deal with. My recommendation is to wait 2-3 weeks for the teething or sickness to pass, or until your family life has settled down a bit before you start working on your child’s sleep. This will help you focus on your child’s sleep without too many other stresses or distractions. Side note: A lot of parent think their child is teething, when they’re actually overtired. If your child is waking frequently in the night for weeks or even months, it’s usually not teething, as that only (if at all) affects baby’s sleep for a couple days. Some parents that I talk to tell me about all the things they’ve tried without success. When I ask them how long they tried implementing a certain strategy, they often respond with “2-3 days”. That’s just not long enough to see real change! We all know how hard it is for us as adults to change patterns of behaviour or habits! Psychologists say it takes at least 21 days to forget an old pattern of behaviour and even longer to develop a new one. Parents often give up sleep training on the 3rd or 4th day (which is when things can get even more difficult). My experience shows that if you just follow through in those couple of challenging days, you will see progress pretty quickly. And if you work with me, you’ll get a personalised sleep plan, where we’ll optimise all the different aspects of sleep. You’ll have hands-on support during the entire process, so you can ask any questions or bring up any concerns that may arise, and get the encouragement you need to follow through with confidence. In addition to giving up altogether, a lot of parents keep switching up the method they’re using after just 3-4 days because they think it’s not working. This means there isn’t any consistency in the training process. Psychologists call this “intermittent reinforcement”, which could actually reinforce the very behaviour you’re trying to change. If you are not consistent or constantly changing your approach, your child is going to be confused, because they have no idea which behaviour you would like them to change. This inevitably leads to more tears, which we’re trying to keep to a minimum! If you’re going to implement a sleep training method, my recommendation is to first make sure you’ve optimised all the factors that affect sleep, and then to follow through for a minimum of 7-10 days. By then you should start to see some improvement, which will encourage you to keep going, and experience success! In general, the longer you wait, the more entrained certain habits and patterns become, and the harder it gets to change them. I see a lot of parents wait and hope their child’s sleep will get better on its own. However, if the child has developed strong sleep associations, sleep will usually not improve with just time. In my experience, there seem to be some key ages where working on sleep seems to go more smoothly than others. For example, taking the dummy away at around 3-6 months is relatively easy, even tear-free sometimes, whereas trying to wean an 18-month old toddler is an entirely different story! I often encourage parents to take an observant stance with their child, and rather than just doing what they’ve always done to try to notice when their child starts to need more independence, or when their sleep starts to regress, so they don’t miss the ideal time to work on it. If we can make the most of those moments, sleep training is much more likely to be successful! I wish baby’s came with an instruction manual! 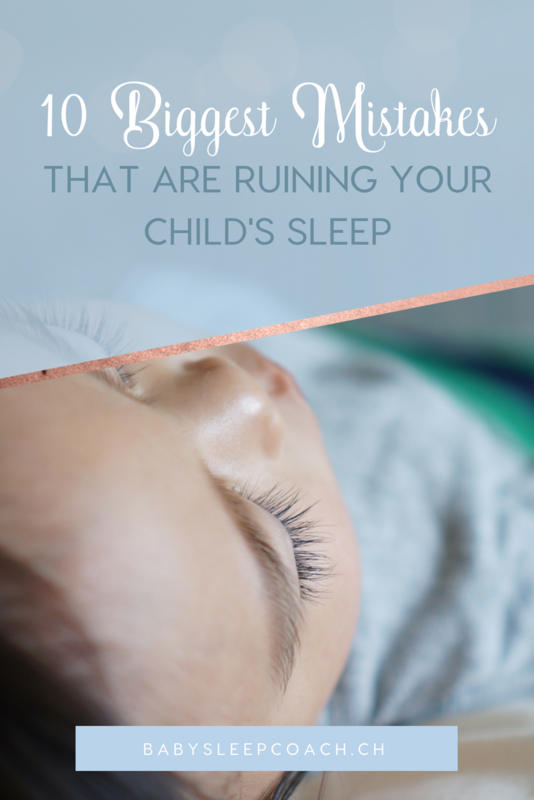 We all make mistakes as parents, but I hope that learning from the mistakes of other’s or simply acknowledging where your sleep training efforts have gone awry will help you make improvements to your child’s sleep without the frustration and tears. 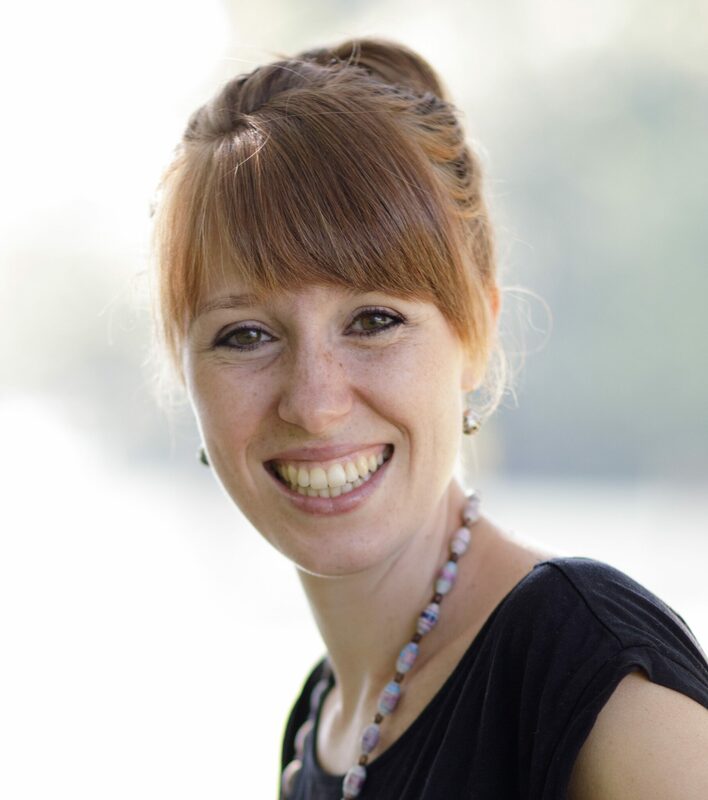 If you’re looking for a more personalised approach to sleep training, don’t hesitate to book a 15-minute free sleep consult and learn about all the ways I can help you get more sleep asap!